We gurantee that you will love our beef tamales. They are made with quality ingredients, no preservatives or chemicals. 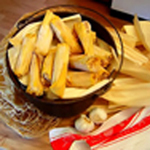 Beef Tamales are the perfect menu addition to any holiday party or special event. 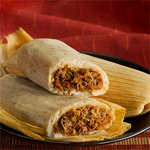 We sell our beef tamales by the dozen or half a dozen. They are served steaming hot and ready to eat.